Top whorl spindles and bottom whorl spindles are used to hand spin yarn and are an ancient technology.Phil has used his skill to make well made spindles which are well finished and are very tactile as well as practical to use. 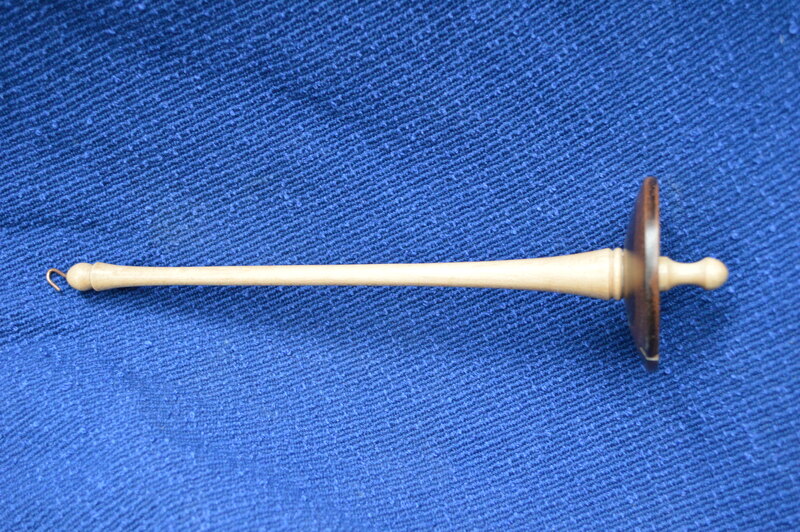 Top Whorl spinning spindle turned by Phil Jones professional woodturner. 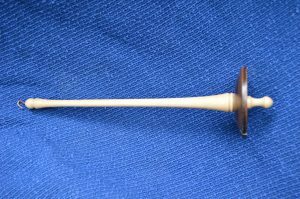 Russian spindles are a simple spindle which is hand turned and finished and buffed to a high polish. Navajo spindles are an example of a supported spindle and are commonly used by the Navajo and Pueblo Indian nations. 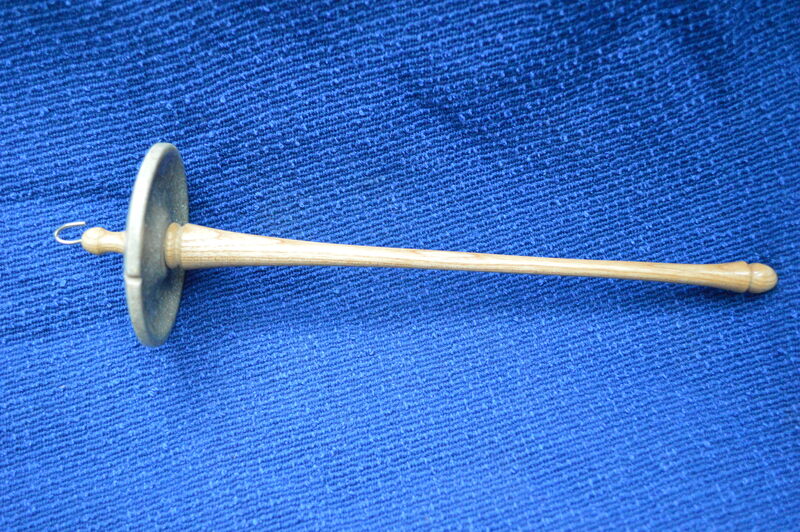 The spinner sits on the floor or in a chair with the bottom part of the shaft resting on the ground and the top part on the thigh and the spindle is rolled up the thigh. After the spun yarn reaches arms length it is wound and stored onto the shaft just above the whorl. 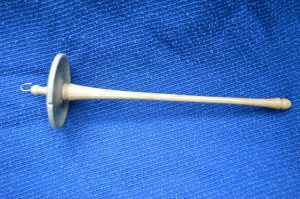 Using this spindle on a carpet or sitting it in a small bowl will help to keep it from sliding on the floor.